With the development of the economy and the improvement of living standards, more and more people are willing to step out of the existing circles to see and experience different lives. At the same time, people’s work rhythm is getting faster and faster, and the pressure of life is getting bigger and bigger, so traveling is the first choice for people to relieve pressure, and tourism has become a big trend in the present society. As for the question of where to travel, everyone has his own vision. Here I would like to briefly recommend a place — Costa Rica. 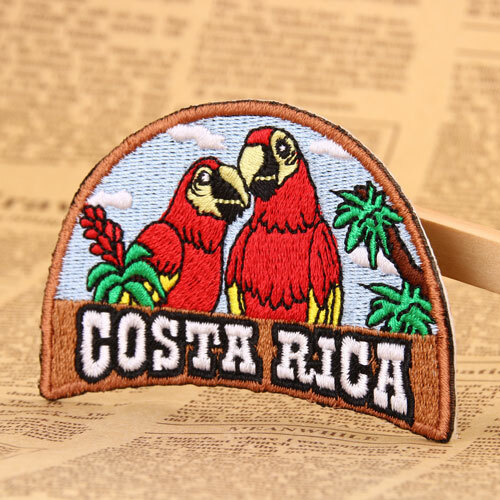 As you can see about our Costa Rica Custom Patches, There are two parrots standing on a branch of a tree, which is the symbol of Costa Rica. And the background is blue sky. This small patch highlights the characteristics of Costa Rica’s tourism industry. (Costa Rica, a small country with only 50 thousand square kilometers in Central America, 80% of the land is covered with green forests or green plants, it has more than 900 species of birds. It is the world’s leading bird kingdom.) We can call it a visiting card for Costa Rica. 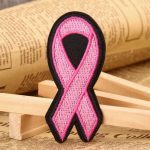 Whether you’re a travel company, a personal travel enthusiast, or even a government organization that wants to boost the local tourism industry, custom patches always can help you a lot. Travel companies can design custom patches to become their company’s promotional card or brand logo. Give each guest a free custom patches, increase the company’s brand promotion liquidity, increasing its added value. 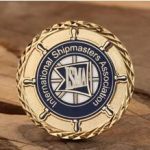 You can even sew a patch on a white shirt, give every customer of the tour group a shirt with a company logo and travel on it, it also can let a person feel the professionalism of the company and normality. As a personal travel enthusiast, customize the custom patches of your hometown’s tourism features and sew it on your clothes, bags and hats. Show others the charm of your hometown or country, and let more people know your hometown or country. This is a pride of locals, and it also promotes the development of local tourism. As a country with tourism economy as its pillar, it is more important to customize a national tourism business card. This can attract people from all over the world to travel and promote economic development. Have you know the importance of custom patches for tourism? Believe me, this little custom patches will definitely bring you great value. And we will provide free design and free shipping for you. Want to know more? welcome to visit our website www.gs-jj.com. You can also email info@gs-jj.com or call 1-888-864-4755 toll-free.